Disclaimer: This article contains minor spoilers. Watch out! 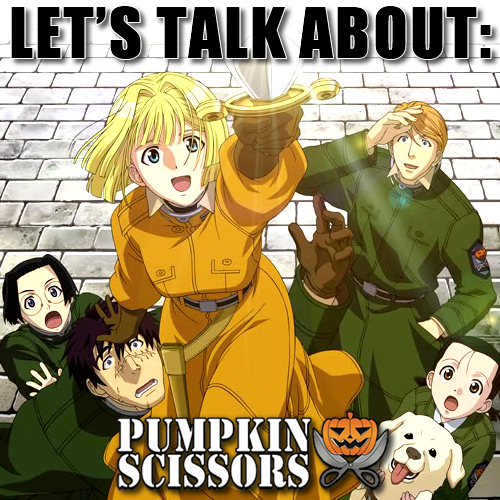 Hello one and all, today I would like to sit down and talk about one of my recent favourite little gems that I’ve discovered, the loveable Pumpkin scissors. 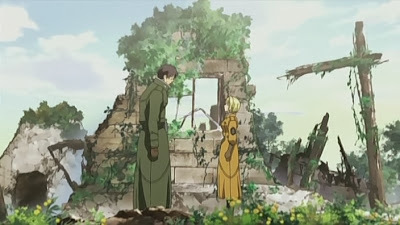 I came across this anime when I was looking for steam punk anime series, which sadly there aren’t many of. 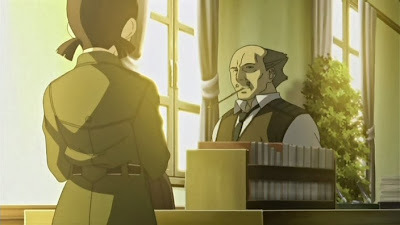 The thing that really attracted me to it was the small array of characters and how they interact with each other, keeping secrets and hidden back-story but keeping the audience guessing all the while to whom the characters actually are. 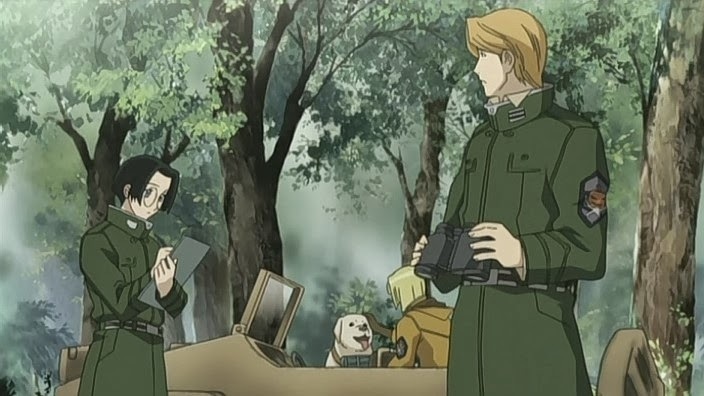 Okay, so the premise of the anime is this; a devastating war has just ended, with Corporal Randal Oland left to wander the land he fought for as it lies in post war poverty, including pestilence, and banditry running rampant. 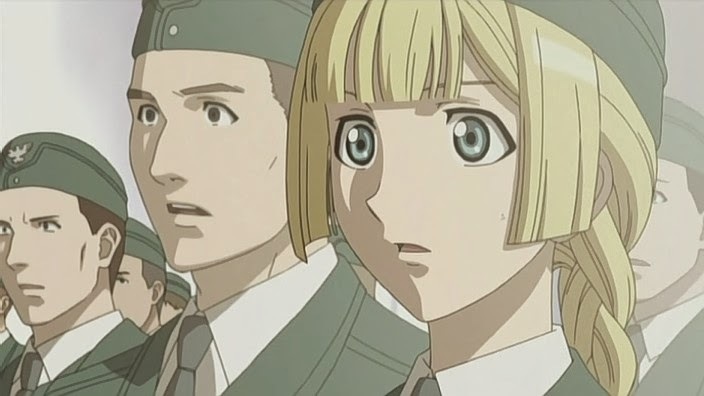 He meets 2nd lieutenant Alice L. Melvin the ranking officer of the imperial army section III, who are in charge of a war relief appeal to help people rather than kill them, however the Corporal has a dark secret in the form of a blue lantern which is able to turn him in to a tank killer. 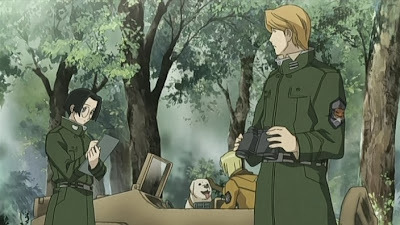 Other than the way the characters interact with each other, the other main reason why I absolutely love this series is because of the main themes that get relayed to the audience, these include how society copes with the stress of war relief, which is mirrored on the events and circumstance after the two great wars that have occurred in the last century. The other main theme is the idea of a class war between the aristocracy and the people, with Alice being a bridge between the classes. The other main emphasis that it gives, which is seen later towards the middle of the series, is the introduction to Orland’s extensive psychological tear down, in that when his lantern's light is turned on, he cannot feel pain, and he only has a single goal, which is reminiscent of soviet programs during the cold war. So, after all is said and done, the anime is amazing and is a nice relaxing anime where there isn’t a whole heap of stuff to take in, and there isn’t excessive violence (I'm looking at you Berserk) but just enough to keep you entertained, also I recommend watching the English dub over the subbed version as the voice acting team got the emotions just right, but their Japanese counterparts didn’t quite have the subtlety to get any underlying messages behind.